How to form a relationship with your 3PL that's so productive and strong, you'll want to put it in a heart and wear it where everyone can see. 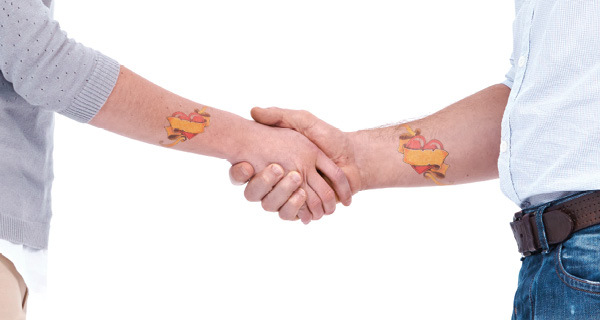 In some ways, signing a contract with a third-party logistics (3PL) provider is a lot like getting a tattoo. Just as you have to put plenty of thought into any design you ink on your body, you need to spend time carefully crafting the bond you form with a 3PL. After all, you'll be living with that relationship, day after day, for a long time. You need to fashion a partnership that reflects your goals and values—drawn expertly—with clear, sharp lines. And you'd better like that relationship a lot, because getting rid of it could prove difficult, painful, and expensive. What are the secrets to forming and sustaining a great 3PL partnership? Based on conversations with some shippers and their service providers currently engaged in strong alliances, some of the keys include clear expectations, a desire to collaborate, well-engaged employees, and honest, ongoing communication.